I love lists. I can't help it - I just do. Lists make me feel as if I'm making progress. They are my first step in taking any kind of action. The idea is no longer just rolling around in my head - its on a list, which makes it more concrete and doable, if only to me. My lists range from sticky notes and scrap paper in my purse to a running list of random thoughts and ideas that I keep on my computer in Notepad. Its not sophisticated, but it ensures that I'll be able to access that brilliant idea later when I realize that I've forgotten what it was. And I will forget. I always do. Not that I had the idea, just what the idea was. Its enough to drive you insane. 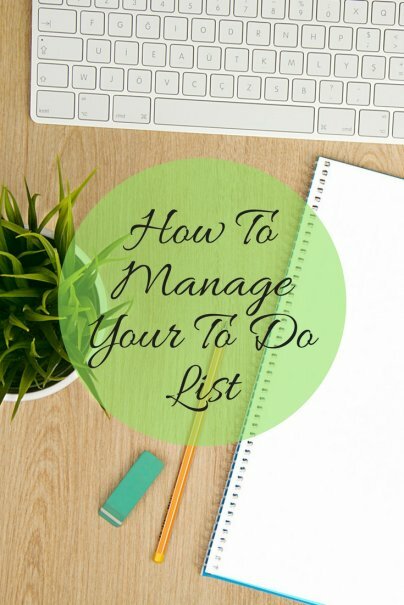 So, being the Queen of Lists, it occurred to me that there's probably some fabulous freebies out there on the web that can help me manage my lists better than the sticky notes and scrap paper. A wonderful alternative to sticky notes and dayplanners, Remember the Milk gives you all sorts of ways to organize and plan all of your to-do's. You can create as many lists as you want, make each one public or private and share with others if needed. Set due dates for your tasks, set tasks to repeat on a regular schedule and even create tags that show up in your "task cloud" - choose a tag from the cloud and see all the tasks related to that keyword. Remember the Milk also allows you to see your list offline, set reminders that can be sent via email, IM or SMS and with the paid Pro version, you can sync with Windows Mobile. By now, just about everyone has heard of 43 Things but if you haven't (or just haven't figured out what to do with it) here's your chance. While the other sites I've reviewed here are geared toward shopping lists and household chores, 43 Things is more of a "life's goals" to-do list, giving you the ability to track your goals, dreams and aspirations along with anything else you might like to add. Want to learn a foreign language? Add that here. Wish you knew how to juggle? You can add that here too. Can't think of any ways to challenge yourself? No problem... just browse what others are doing for inspiration. You can also sync your 43 Things account to your blog so everytime you add a new to-do or update its status, you can post it to your blog as well. You can see my 43 Things list here . From 37 Signals (who by the way has some other cool online tools) comes the Ta-da List. It has a user-friendly interface and can be shared with certain people or made public for all the Net to see. You can check off items as you complete them so you'll always have a running list of what you've done so far. You can see my Ta-da list here . Bla-Bla has a really simple interface but if you're looking for something to just manage your many to-do's, this is a great solution. You can share your lists with certain people or publish it for public viewing. You can see mine at http://blablalist.com/list/ivygirl/things_to_ponder and if you'd like to subscribe to the feed and discover other things I'm pondering, Bla-Bla has an RSS feature too. For those of you looking for something a bit more all-encompassing, Zoho's for you. Zoho is kind of like an online day planner combined with a web conferencing feature combined with project management software combined with a Wiki, an online presentation tool and... well, you get the idea. Using Zoho strictly to manage your grocery list is probably a waste of its capabilities but if you need something to help you manage, track, collaborate and create, then Zoho is definitely what you're looking for. Personally, I find the Zoho suite a bit too slow for something like list making. I am sure the problem is with my internet connection. That said, I love it as an online office platform. I do most of my writing in Zoho writer and...well...that is basically all I use office software to do. I find that, unlike google documents it handles margins well and the documents transfer from the web to a printer or desktop application without any fuss. I've just started using todoist.com - it's got a streamlined, minimal interface, is really quick, and can be used on an igoogle page or a Mac Dashboard widget. I'm loving the design simplicity and the ease of using this. Oh, and it plays very nicely with gmail. Highly recommended. there is such a sense of accomplishment when you draw that line through something on your list! Of course, I don't like the way mine keeps growing exponentially...how do you combat that? I'm glad to see I am not the only Notepad user. Military wife, ranking your list seems to help keep it from growing out of control. I keep the first section of the list things I have to that day, the next section things that need to get done maybe that week and the third part of the list things that are less important or more hope I can do. Otherwise your to do list starts turning into a list of life goals almost. Ooooo! This article is like candy! Thank you so much. I can't wait to explore all these different list-makers. I have been looking for something exactly like this!! I have looked at and/or used nearly everything on this list and am sad to see iwantsandy.com excluded. I use Sandy now and am so much more happy with her than anything I had before. I don't need to sign in to use the service, I just email her something I want her to remind me to do or a list or something to remember and she does it. She can email or text message you your reminders and sends you a daily agenda of things to do every morning. Whats more, you can use Jott to call in your reminders, lists, etc and both services are free. P.S. After using iwantsandy for while, you will start to refer to her like a person. P.S.S. I am not affiliated with iwantsandy in any way, except that I am a happy user. These are all great tools, but I especially loved the 43 Things. It's great to put ideas out there for what you would like to do and see what others are interested in. Maybe I'll even challenge myself to do something new! "This article is like candy!" David & Hayden : Thanks for using Zoho! For those of us who own MS Word 2003 , there is a built-in TO DO feature (go to "View" menu and select "Outline") that is worth is weight in gold. You can set up heirarchical sub-headings, move things up and down,insert long text notes,and view your entries in different levels. It is indispensable for keeping track of tasks. While I'm sure all these online solutions are great, I couldn't live without my Palm Zire. I have a calendar, which I use to mark events, birthdays (which I'm horrible at remembering), holidays and days off. There are memos, which I use for all kinds of lists...groceries, "wants", various account information (which is password protected), financial goals and all other kind of information I used to keep on paper lists (which, a lot of times, got washed in my pants pockets). What I love best are my "To Do" lists. I use to for my daily goals, tasks and errands. It gives a great sense of accomplishment once everything is done off of that day's list.